Several benefits and privileges are available to you as a member of the SUU Alumni Association. We invite you to explore the options. Check back often as new programs will be added and some benefits may change. Road Creek Inn spacious area for business retreats, family reunions, large groups, and more in Loa, Utah. Special alumni rate available. Travel Program T-Bird travel program designed with alumni in mind. 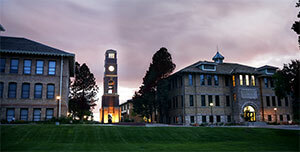 SUU expert guided tours.